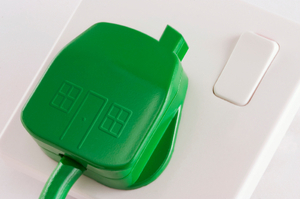 Energy suppliers in the UK are being urged to push on quickly to ensure they meet carbon reduction targets for consumer's homes. The Government set the carbon emissions reduction target (CERT) three years ago, and hopes to cut 293 million tonnes of carbon emissions across households in the UK. It told energy suppliers that they must help deliver the reduction, by providing homeowners with more energy-efficient features, such as lighting and insulation. So far, around 67% of the target has been achieved. The first two years of scheme saw a lot of work by suppliers to help introduce the new measures to customers' homes: but work apparently slowed down in 2010. That is partly down to the Government extending the lifetime of the scheme, which will now run until 2012, as well as upping the overall reduction target. Prior to doing that halfway through 2010, suppliers were well on target to meet the CERT. Now energy watchdog is warning suppliers that the extended target will be tougher to meet, so they must up the speed of installation of energy-efficient measures to ensure they meet the targets. The latest figures show the suppliers have reacted, with a 21% increase on insulation installation year-on-year. The vast majority of savings have been made through insulation. Figures show around 197 million tonnes of CO2 emissions were cut in the first three years of the CERT scheme. Of that, insulation was responsible for 61% of the cuts, energy-efficient lighting helped cut 26% and more efficient heating and appliances resulted in an 11% reduction. Of the suppliers, EON and Npower have set the benchmark, with the highest achieved reductions in the third year of CERT. EON has met 73% of its reduction requirement, whilst Npower has hit 71%. Energy minister Chris Huhne has said that firms will have to quadruple the amount of homes in fuel poverty receiving energy-efficient measures to meet the CERT. Ofgem has the power to fine firms who fail to meet the target.